We also know more about the multiplayer add-ons coming in the future. You won't have to pre-order a game to get a taste of Doom's multiplayer mode before the ultra-violent first-person shooter arrives on May 13th. 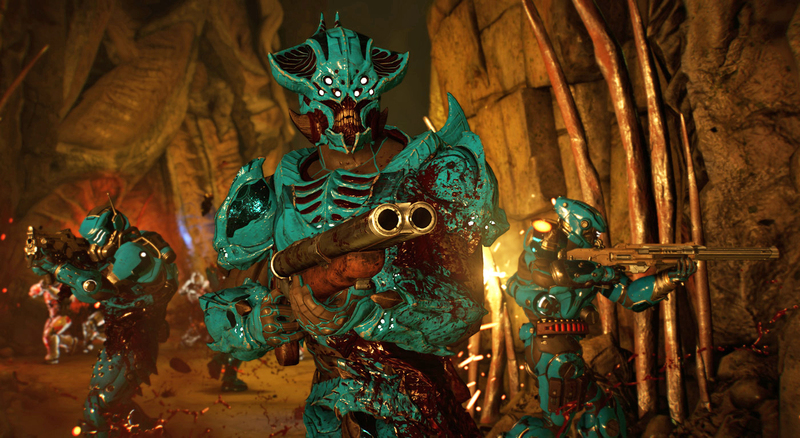 Bethesda and id Software have revealed that the open beta for the game will run April 15th through the 17th on the PS4, Xbox One and Windows PCs. As with the closed test, you're getting a sliver of the full online experience: you'll have two maps (Heatwave and Infernal), two game modes (Team Deathmatch and Warpath) and one demon to invoke. The developers have also offered a glimpse at the downloadable content coming to the game after launch. There will be three multiplayer add-ons, available for $15 each or for $40 as part of a season pass. The first, due this summer, will bring three new maps as well as a weapon, a demon, an armor set, equipment and a slew of ways to customize your soldier. You won't have to pay for everything, though -- additional gameplay modes and content for the build-it-yourself SnapMap tool will be free.